Tired of hair getting frizzy all the time? 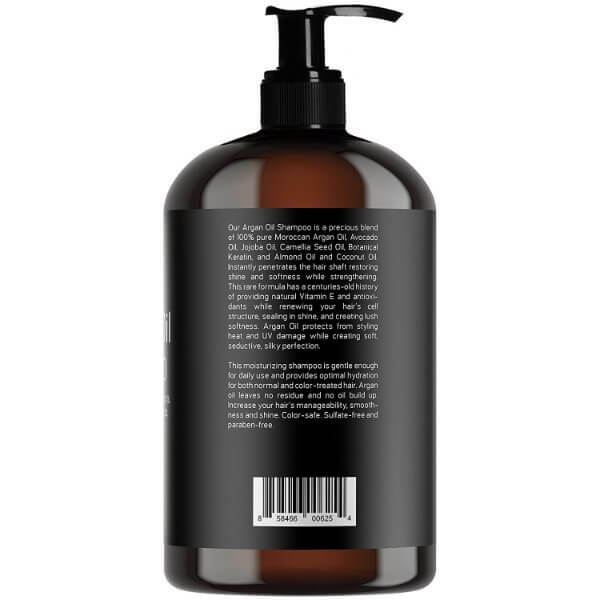 Use Baebody Moroccan Argan Oil Shampoo to cleanse hair and give it extra volume and shine. 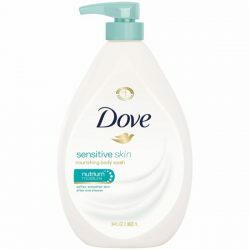 As one of the best natural hair care products, this shampoo is gentle for all hair types including curly and color-treated hair. This shampoo is free of sulfate and other drying ingredients. Dryness and frizziness are signs of hair damage. They happen when the layer of cuticles of hair strands lift from the shaft. This allows moisture to escape and make the strands brittle. Baebody Moroccan Argan Oil Shampoo contains keratin. This helps nourish and strengthen hair. The keratin helps fill the gaps between these layers and seal the moisture in the shaft. Keratin is essential in binding the layers of hair strands to prevent split ends and brittleness. 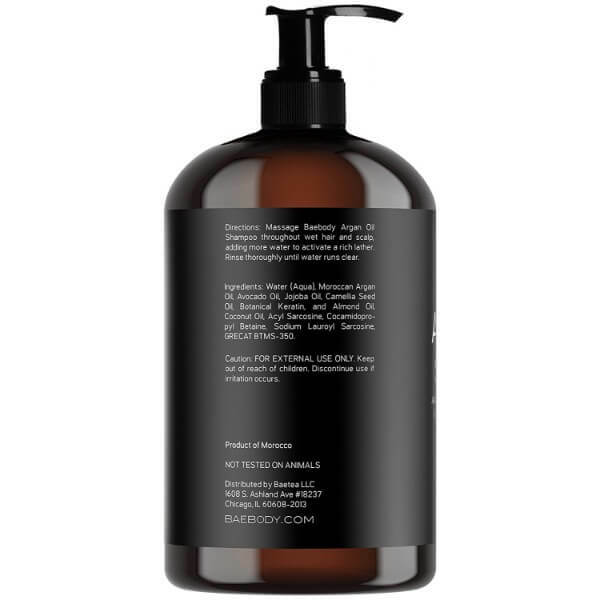 Other than botanical keratin, there are other nourishing ingredients in the shampoo. The formula contains various essential oils aside from argan oil. These oils include jojoba oil, avocado oil, almond oil, and coconut oil. These oils have moisturizing and nourishing benefits for hair. They provide moisture that keeps hair from getting dry and damaged. The formula is rich in vitamin E and antioxidants that fight free radicals to prevent damage. Using it every morning aids in protecting hair from styling heat and damage that can be caused by UV rays. Mixing argan oil with these essential oils created a highly moisturizing formula that restores the health and shine of hair. A healthy hair has noticeable softness and shine that makes hair stand out. 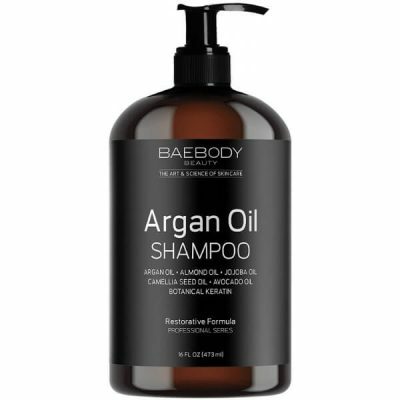 Babebody’s argan oil shampoo makes curly hair more manageable as well. 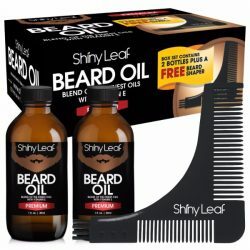 It is suitable for men and women’s hair. Baebody Moroccan Argan Oil Shampoo improves the ability of hair to retain moisture. This ensures that hair stays soft and smooth all day long. 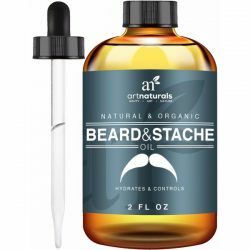 This all-natural formula is gentle to all hair types. It protects color-treated hair from fading as well. Wet hair and scalp thoroughly. Pump a dime-sized amount of oil to hands. Create lather and apply to hair and scalp. Massage scalp for 2-3 minutes. 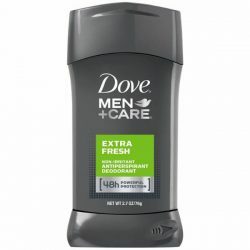 Wash off with lukewarm water.